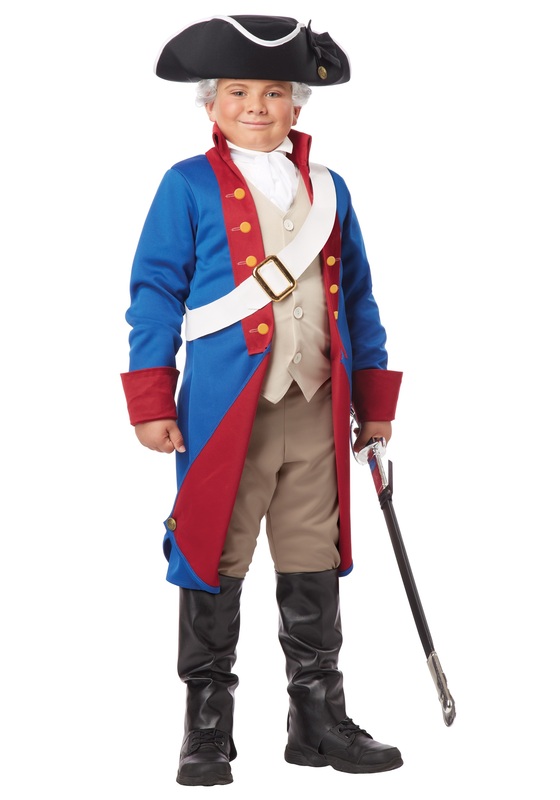 My boy was thrilled to wear this costume for their revolutionary war reenactment. Fit was great. The only thing that wasn't a great quality was the white belt. So we just left that off. Thank you! Cute jacket and relatively well made and detailed for price. Bib looked cute with white collared shirt and black shoes & socks give the appearance of tall black boots. 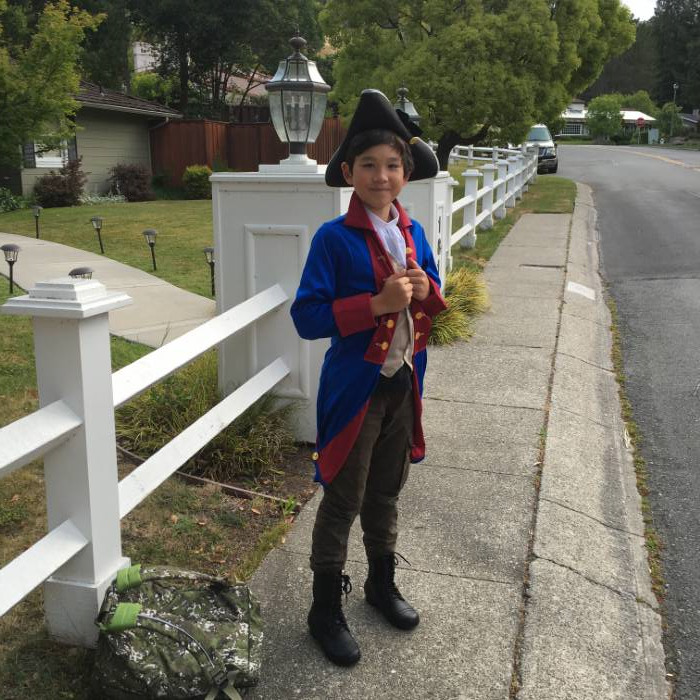 Great outfit for my son’s role as “General Rochambeau” in an american revolution skit at school.